I’m a little late the the review of thee PN-60 (originally scheduled for November 2011); now reviewed March 2012. 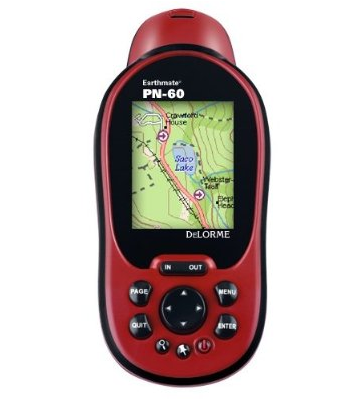 This is a great personal GPS which is difficult and at times frustrating to use. I got familiar with it over this past winter. I uploaded the hi-res contours and satellite maps for the Newton and Johnson County area of Northwest Arkansas. Since my primary remote computer is a Macintosh, and I needed to run bootcamp, I was unable to takes advantage of 3D mapping, which I wanted. Highly recommended for previous DeLorme Earthmate owners looking to upgrade ion a Windows computer. The PN-60 is a powerful device, with an extensive feature set and capabilities. Nevertheless, I find myself reluctant to recommend it beyond this, partially due to its small screen. I also have concerns recommending it for first-time handheld GPS owners. This unit, with all its strengths, is frustrating. The SPOT is the best personal tracker I have found for tracking my location and transmitting the GPS data to people watching my progress on the WEB. A GPS will usually suffice on a known or marked trail. 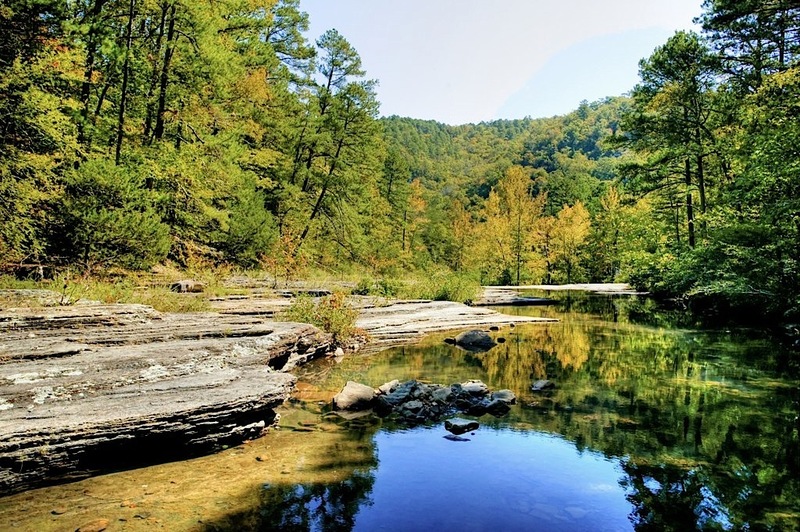 But when alone or in inclement conditions when bushwhacking trail with any chance of injury (such as a fall) in a wilderness area; it’s best to use the SPOT. TRACK PROGRESS – a $30.00 per year activation option. Obviously most useful for hiking, NOT driving. 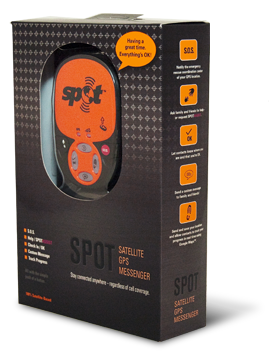 The spot is not a replacement or alternative to a real GPS; there is no readout screen. 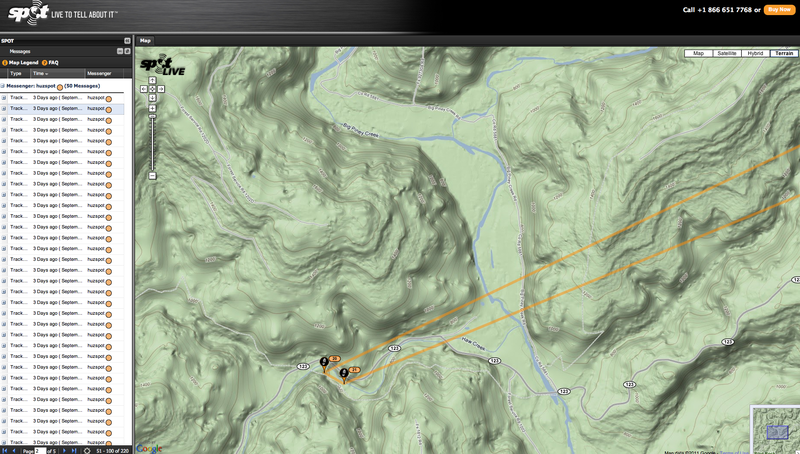 SPOT Track Progress provides a fun and easy way to share your outdoor adventures with friends and family. 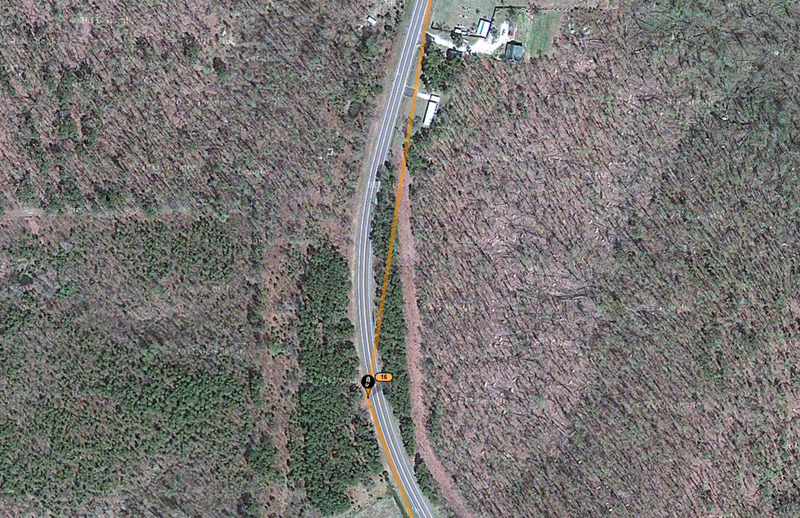 Track Progress automatically transmits your GPS location every 10 minutes. Whether you’re hiking, boating, driving or flying, Track Progress provides a nice breadcrumb trail of your route which you make public or private. Share your outdoor experiences with your loved ones every step of the way! Sharing your SPOT locations is easy with SPOT Shared Pages. Shared Pages is a web-based application that enables you to broadcast selected SPOT messages, including Track Progress waypoints, to anyone you choose via a personal and protected web link. Simply log into your SPOT account, click on the Shared Page tab and create follow the self-guided instructions. It’s easy; start sharing your adventures with 5 people or 1,000 today! Track Progress not only allows personal contacts to follow you on your adventures in real time, but also provides the ability to create your own personal adventure log. Simply use Track Progress during your activities or travels, and reference your route later on your own personal Google Maps™ page inside your SPOT account. Each recorded SPOT waypoint includes the date, time-stamp and GPS coordinates in addition to showing your location on the map. Purchased the SPOT on 6/17/11. Uses 3 Triple A, standard or rechargeable batteries. They last 2 full days in continuous operation. However, you can turn of the Track Progress option ON and OFF to save energy or Power down the SPOT. Has worked well since the purchase date. Very accurate GPS Tracking via satellite communications (not cell phone). Transmits my position every 10 minutes for up to 7 days; saves all tracks for 30 days; for later downloading and revue. Allows me to share my near real time position via browser, Facebook, or Twitter. The position is placed on the latest google-map for more detail and zooming, when shared. This also allows me to review my locations later that day or at a later date. With a cell signal and the iPhone browser my exact position is only 10 min (at the longest), behind my actual position. Check-in, which make sense for more dangerous sports such as climbing, etc. ; if you don’t push the check-in button and preset intervals, you are considered lost. The device is fairly small and hangs tightly from a belt or pack strap (a day pack would be a good location). The device appears and seems very rugged and water-resistant. Its an moderately expensive form of self protection, which would be great if you are hiking or bushwhacking alone.